Although I had only been to Himmarshee Bar & Grille once before, I had become an instant fan. I was especially a fan of their Butternut Squash Purses and entrees. The restaurant offered different appetizers, entrees and desserts with international influences ranging from Caribbean to Middle Eastern. The restaurant had sidewalk seating on one of Fort Lauderdale’s busiest downtown streets and was always very packed. The interior was painted in warm and inviting colors like rich burnt red with wooden accents. However in recent weeks, Himmarshee abruptly changed its name, menu and concept. 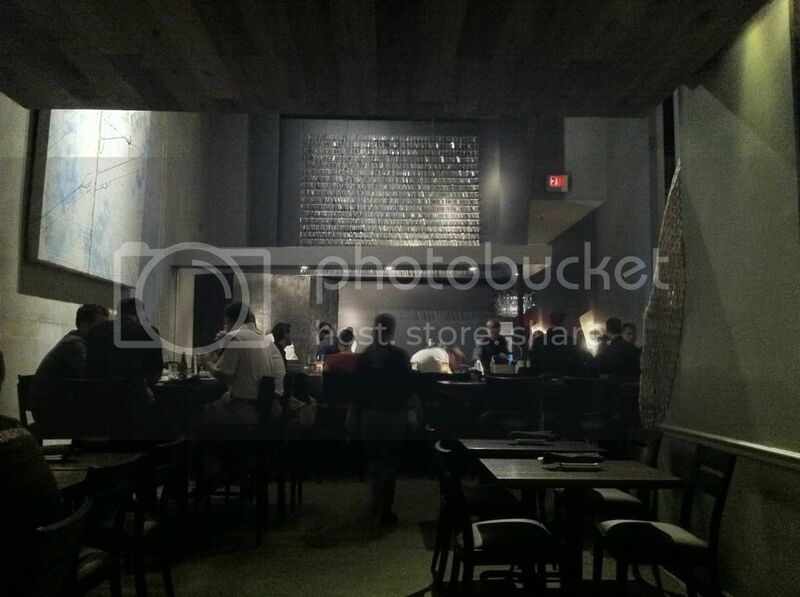 It's now known as Pl8 Kitchen and offers primarily small plates at more reasonable prices. The interior also changed to dark and metal hues to embrace a more industrial/modern look. 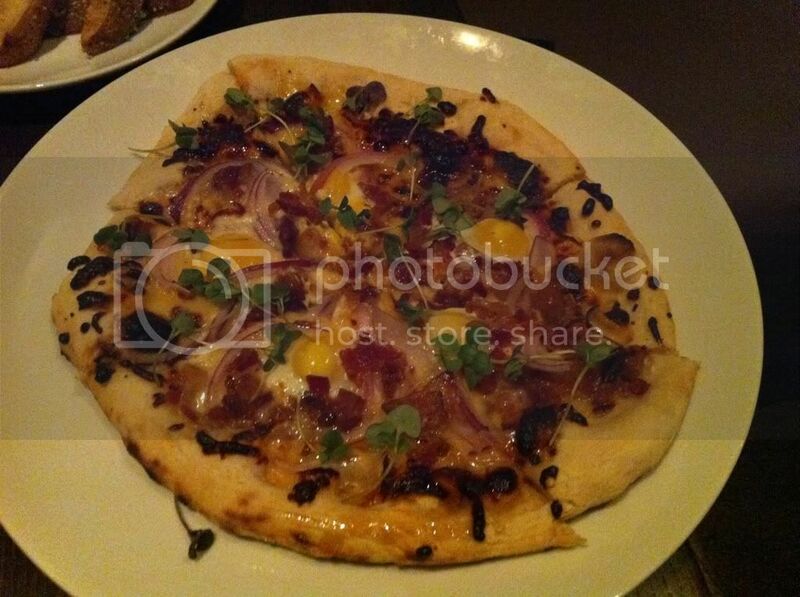 I decided to check out the new Pl8 Kitchen on its opening weekend with my best friend. Our waiter seemed slightly nervous but was nice and helpful in explaining the new menu and how dishes come out as they’re ready in no specific order. We started rattling off dishes and the first to show up was their Creekstone Farms beef sliders that are made of ground short rib and brisket and topped with garlic herb spread, ketchup and caramelized onions. 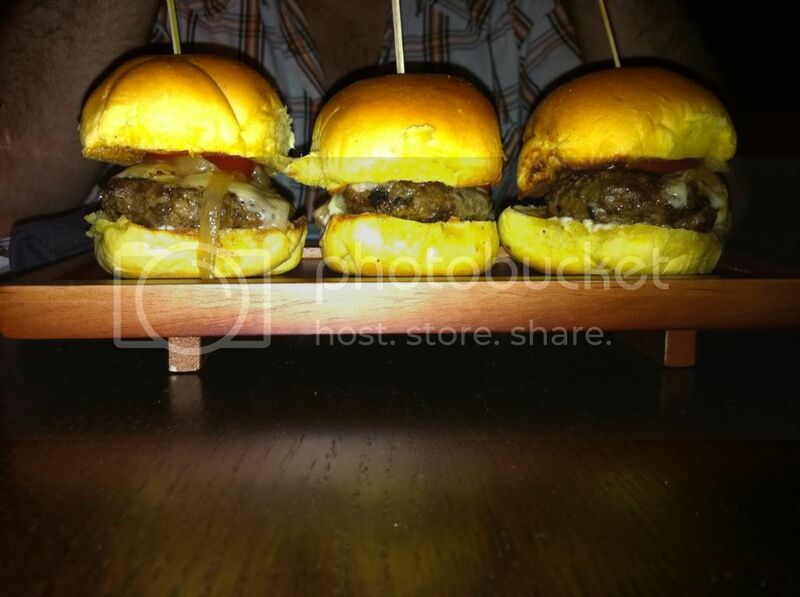 The sliders are cooked medium (unless otherwise specified) and are served on a toasted bun. The meat was tender, really juicy and well seasoned. I was apprehensive about the ketchup and garlic herb spread together, but the combination tasted surprisingly well. My friend and I realized there was cheese on our sliders and although it wasn’t included in the menu description, cheese is always welcomed on my sliders. We asked the waiter and he advised that it was smoked Gouda. The caramelized onions were slightly under cooked and I wouldn’t call them caramelized per say but they went well with the sliders none the less. I really enjoyed the sliders and was eager to see what else was in store. Once we were done with the sliders, we moved onto our wedges (not to be confused with wedgies). 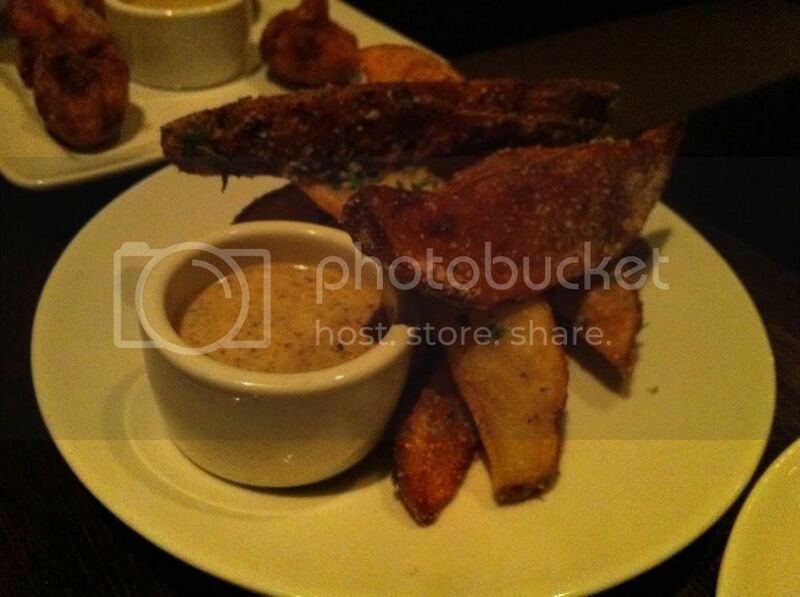 We ordered their Parmesan Potato Wedges and Chili Dusted Sweet Potato Wedges. The parmesan wedges were made from Idaho potatoes and although the order brings 6 thick wedges, it equates to one giant potato. The seasoning on the parmesan wedges was great and really flavorful; the only disappointment was the double mustard sauce that came with the wedges. 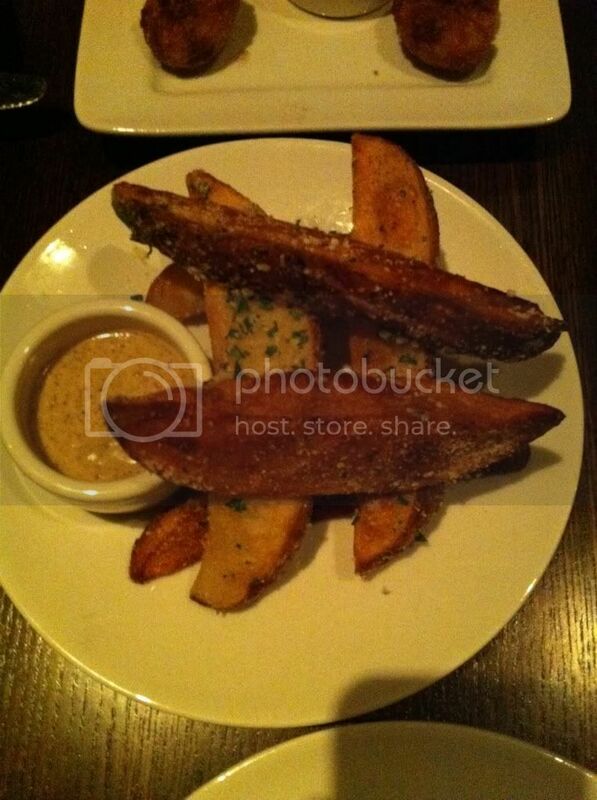 I felt the mustard sauce robbed the wedges of their rustic, Italian infused flavor and didn’t compliment them at all. A garlic aioli or pesto would’ve really been a much more appropriate sauce instead of the mustard sauce. The Chili dusted sweet potatoes could have used slightly more chili seasoning. The seasoning didn’t come through at all and the accompanying sauce, spicy raspberry jam, lacked spiciness. 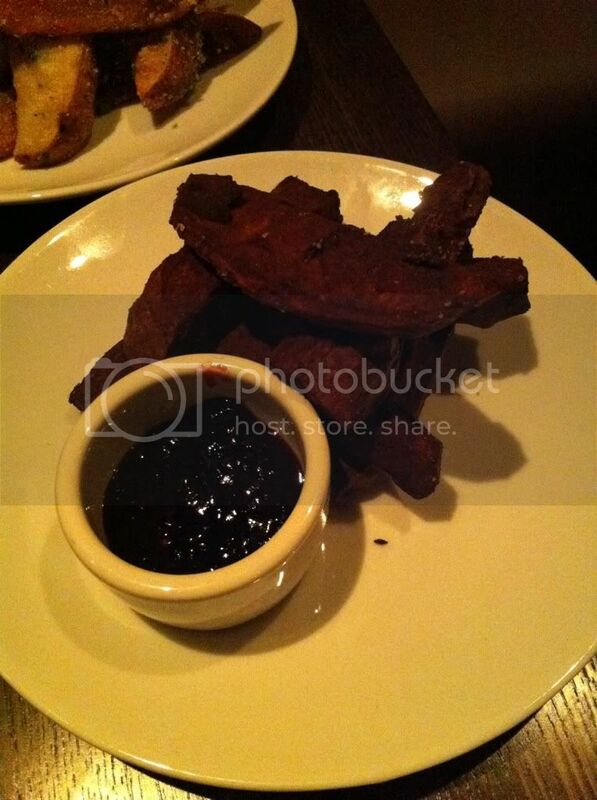 Although I liked the idea of serving the sweet potato wedges with raspberry jam, both the jam and potatoes lacked the spice and kick the menu alluded to. With that we decided to keep on moving to our next dish. We then decided to tackle their version of Butternut Squash Purses. The Himmarshee butternut squash purses are a very tough act to follow; they were cooked with shiitake mushrooms, sage, pecan oil, chopped pecans and topped with shaved parmigiano reggiano. 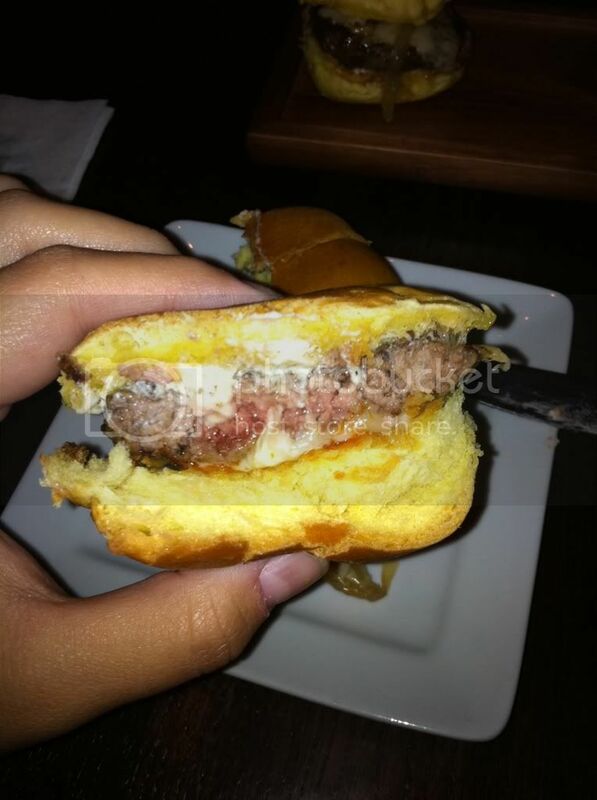 They offered a complex and wonderful flavor that had me eager to drive back to Fort Lauderdale from Hialeah for. Pl8 Kitchen’s revamped butternut purses were a sad let down. Their purses were simply fried and then sprinkled over the top with cinnamon and salt. 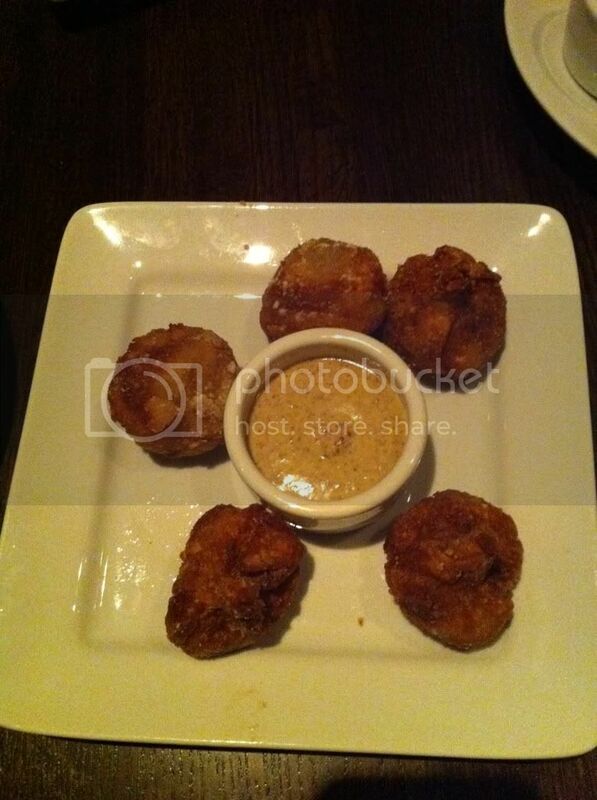 They were also served with the same double mustard sauce that the parmesan potato wedges came with. I felt that they lacked depth and creativity. When given the opportunity I told the managerial staff that for Christ’s sake bring back Himmarshee’s version of the butternut squash purses and to chill out with the damn mustard sauce. 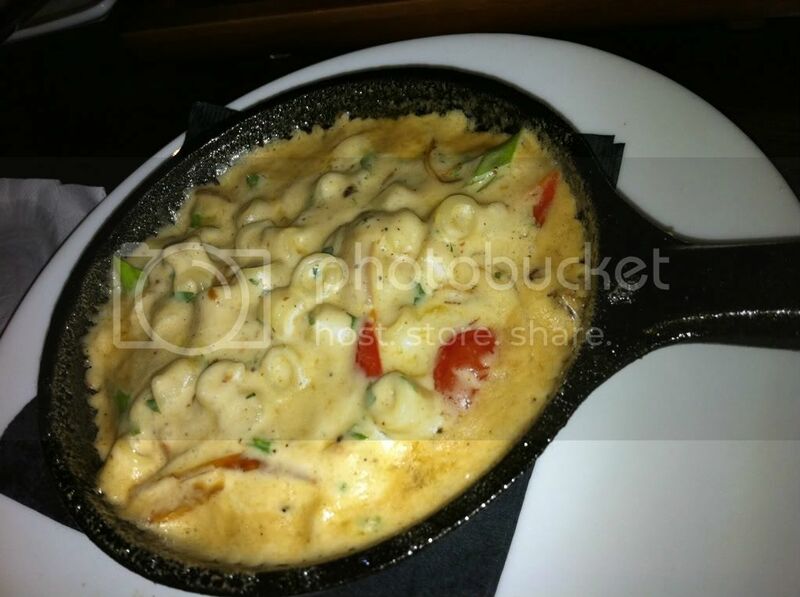 Up next we tried their cast iron Macaroni and Cheese which according to the menu changes daily. Macaroni and cheese is a pretty big deal for me, it’s the wonderful marriage of two of my favorite things, cheese and pasta. The waiter explained that today they were serving a tex-mex inspired mac and cheese with ditalini pasta, onions and peppers. The cheese was a “secret cheese sauce” and our waiter wouldn’t even explain which cheeses were in the damn thing even when we tried to bribe him. What I can say is, the mac and cheese was really flavorful and the one cheese’s flavor I could honestly make out was Cheddar. I liked the tex-mex seasoning that gave it a different spin and twist to what is typically seen as a southern dish. 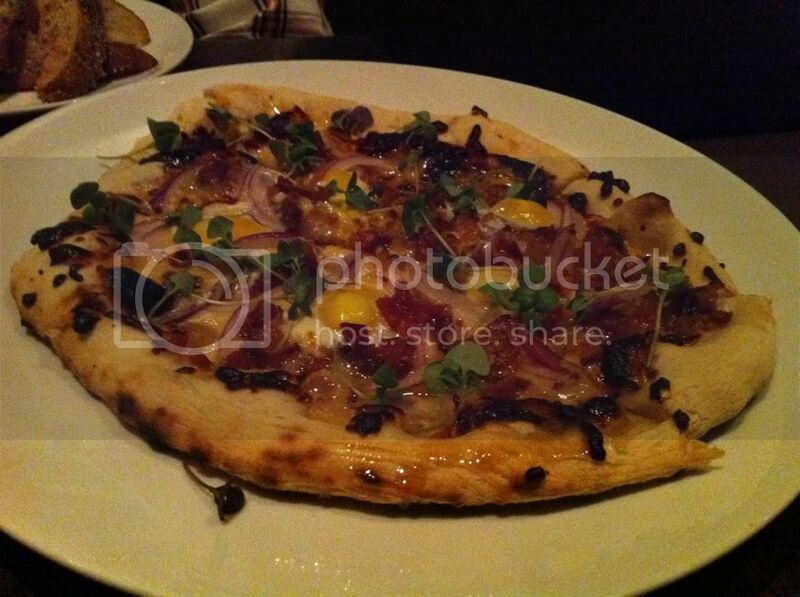 Our last dish was none other than a whole brick over pizza. 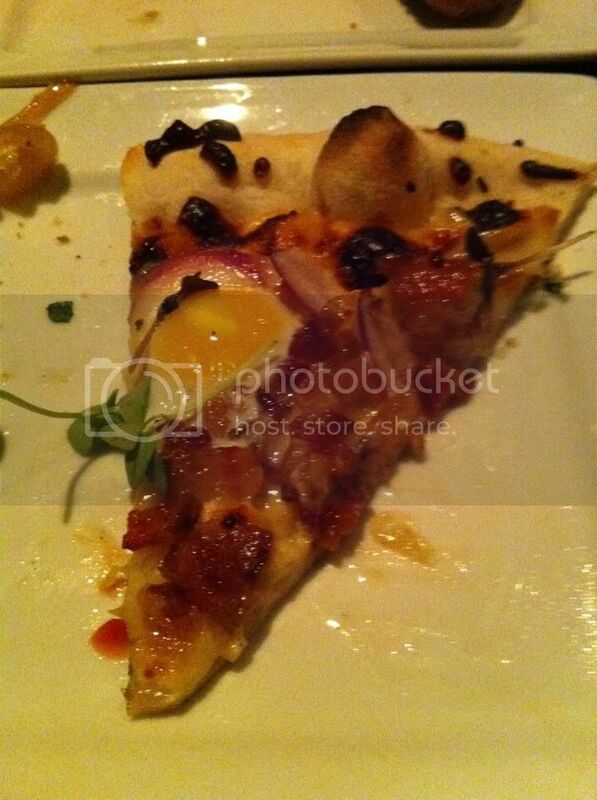 We tried their Sunny Side Up pizza that came with bacon, smoked gouda, onions, peppers, fingerling potatoes, sunny side up eggs, maple syrup and truffle oil. This thing was packed with toppings and smelled just as great as it tasted. I was really worried about the maple syrup and truffle oil combination, but it surprisingly went perfectly together. This pie was the best breakfast inspired pizza I’ve ever had, hands down. The smoked Gouda, bacon and sunny side up eggs went perfectly with the onions, peppers and potatoes. The whole combination of toppings went extremely well together and the fact that each bite was slightly different from the last only made me want to keep eating it. 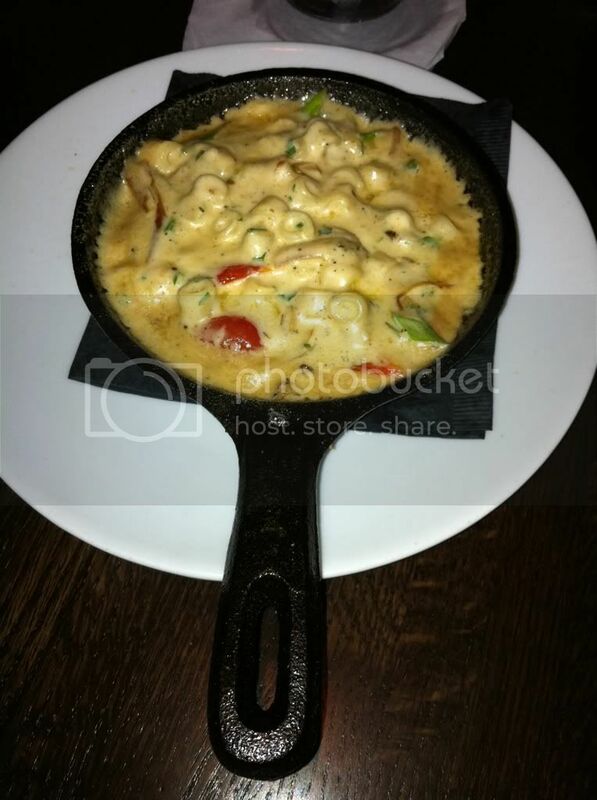 This place was a bit of a hit or miss, some dishes were successful and others fell short. 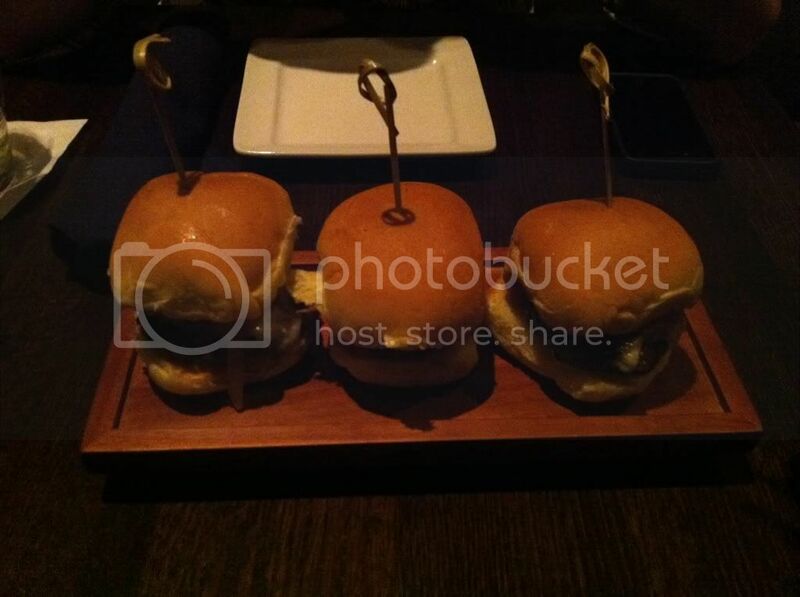 I really enjoyed the sliders, that day’s mac and cheese and the pizza. The potato wedges and butternut squash purses were a bit of a disappointment. I realize that I went on their opening weekend and there are still adjustments to be made. The manager did mention that several people had expressed their concern over the butternut squash purses and they were in the process of deciding whether or not to bring them back. The staff as a whole were all friendly and all asked how we liked the food and if there were any suggestions or concerns. The restaurant was very busy and if you plan on checking it out for yourself, I would suggest making a reservation to avoid an extended wait time. 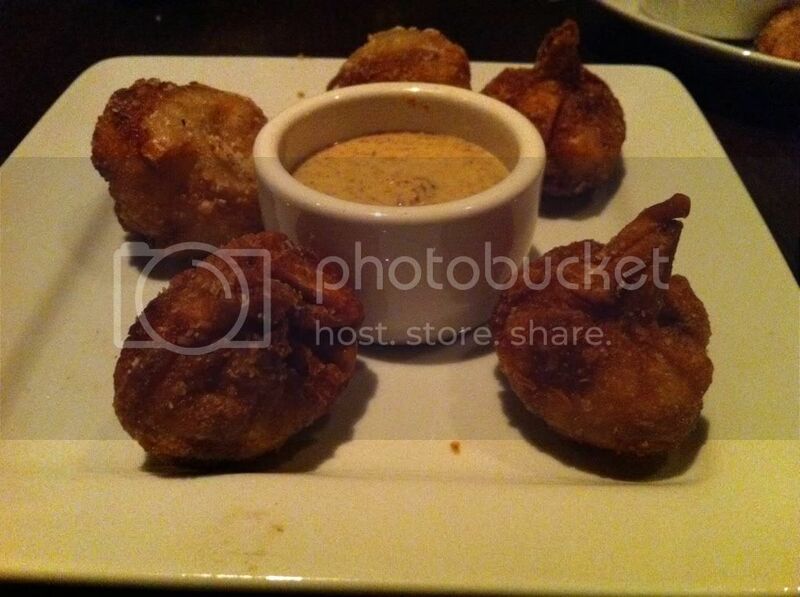 Totally agree with you on the butternut squash purses at Himmarshee, they were amazing! My buddy bartends at himarshiee well now pl8..I agree the butternut squashes are amazing I found a recipe for the himmarshiee butternut squash purses it was in a sun setenial article..im going to make them for thanksgiving..hopefully they will come out the same..btw try coconuts its food is amazing I go on mondays or tuesdays for half off bottles of wine all day and mon-fri 4-6 half off appetizers great way to try the place on the cheap and you can bring your dog and can dine by the intercastal enjoy! !